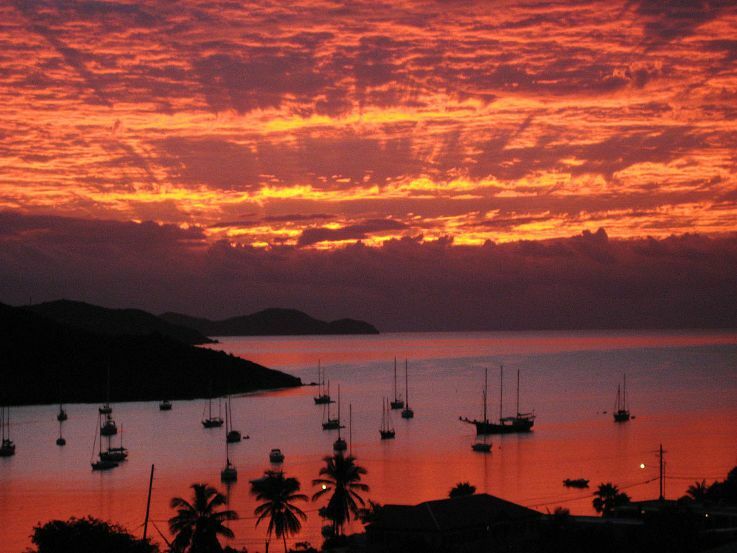 Wake up to a beautiful Caribbean sunrise over Coral Bay. 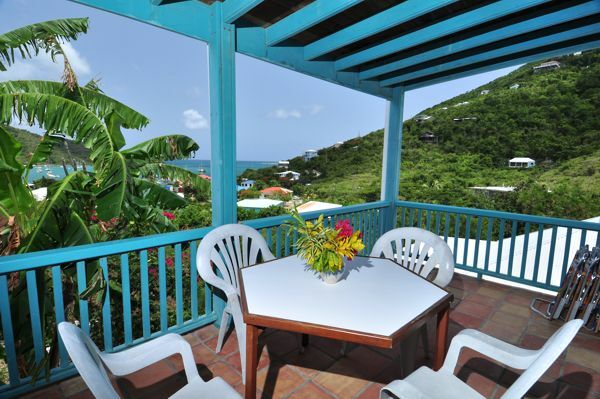 Enjoy steady trade wind breezes, and cool evenings on a shaded veranda. 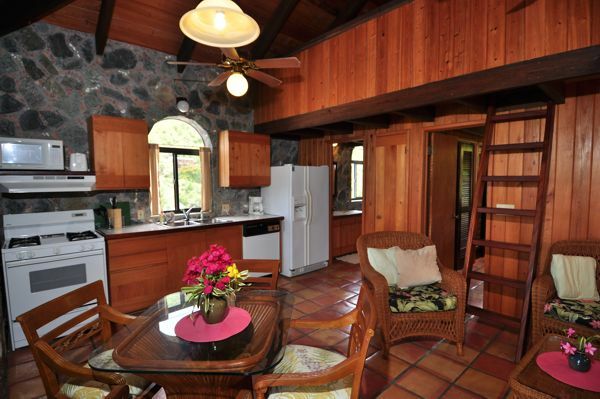 This custom built, 2 bedrooms, 2 baths with a loft. 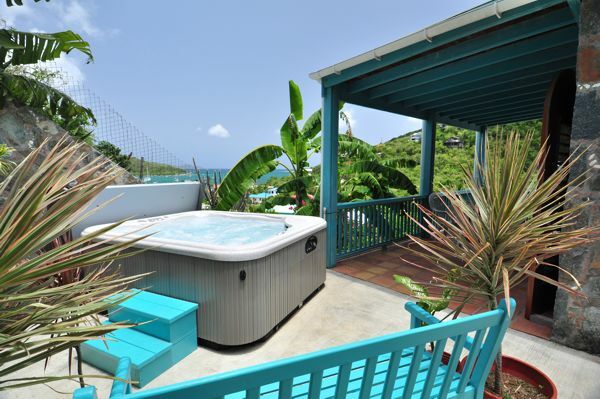 This vacation home is ideally located within an easy walking distance of the town of Coral Bay. Walk to restaurants, cyber cafe, grocery stores and shops. 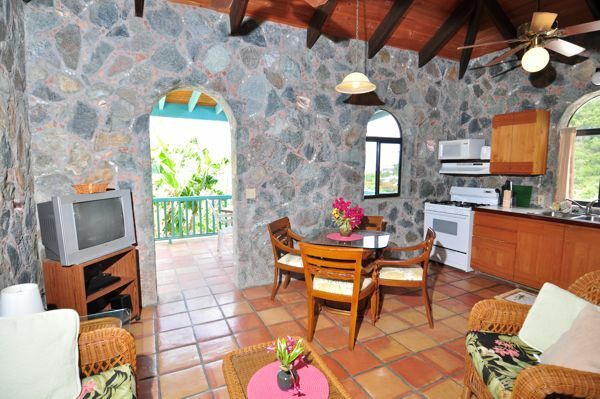 1-4 Guests $265/Night or $1855/Week. 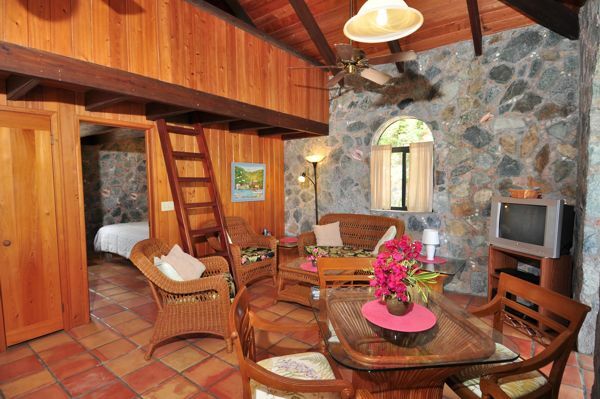 1-4 Guests $300/Night or $2100/Week. 50% refund if canceled at least 7 days prior to arrival date. 100% refund if canceled at least 14 days prior to arrival date. Kitchen has all you need for dining in. Living Area complete with Cable TV, DVD, and Stereo with IPod dock. 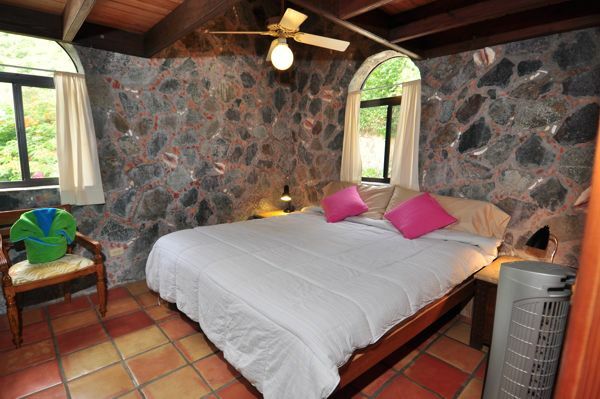 2 Bedroom and 2 baths easily accommodate 4 adults, the Master Bedroom has a King-sized bed, the downstairs Bedroom (with private entrance) has a Queen-sized bed. There is a sleeping loft with a Queen-size bed and a Twin bed that can accommodate children, or adults trying to economize their vacation. 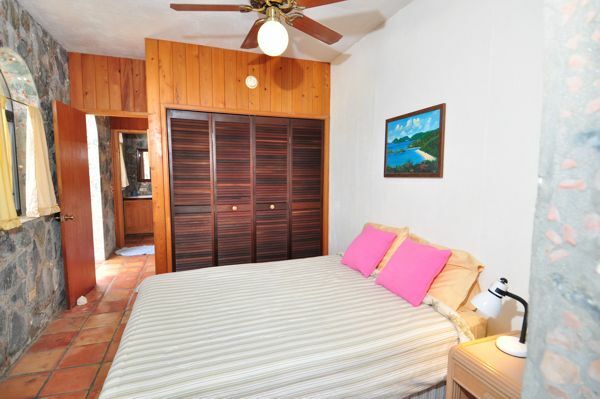 Ceiling fans are in all rooms, and the bedrooms have AC. Downstairs bedroom with Queen bed, bathroom with washer and dryer. Private hot tub with a view. Thanksgiving 2008 beautiful sunrise of Coral Bay, St John, US Virgin Islands.